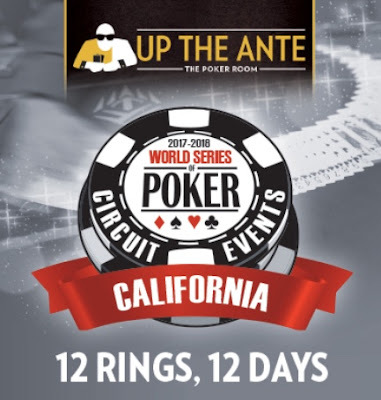 Satellites start tomorrow, tournaments start Thursday, the WSOP Circuit makes it second trip this season to @TVPokerRoom for 12 rings in 12 days of tourneys from Jan. 11-22. Play the opening weekend $365 with a $300,000 guarantee, PLO, Omaha8, HORSE, 6-Max, 8-Max, Monster Stack, High Roller, the $500,000 guaranteed Main Event and much more. Here's the full tournament schedule. Here's the full satellite schedule.